The Little Things Art Prize now in its second year, is a competition developed by local artist Marnie Ross and supported through the Woollahra Council & Cultural Grants Program. The competition welcomes submissions by artists with varying degrees of experience and inspires the local community to come together creatively. This year we received over 200 entries and our panel of accomplished judges have selected 98 finalists, whose works will be exhibited from 31st August – 18th September, 2016. Artists were invited to respond to the concept of the ‘little things’ in life that make them feel happy or grateful. There will be three awards presented for each category, one Viewers choice award for each category, one Young Artist award and The Happiness award. 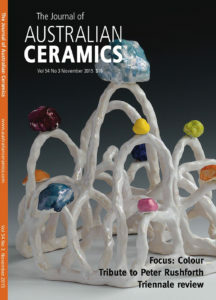 This year we have introduced a new category ‘Little Ceramics’. True to the spirit of Spring, the exhibition and event have been curated to showcase the freshness and vitality of the blossoming artists that enrich our creative community. We would like to thank all our Event supporters and look forward to welcoming all to Saint Cloche this Spring! 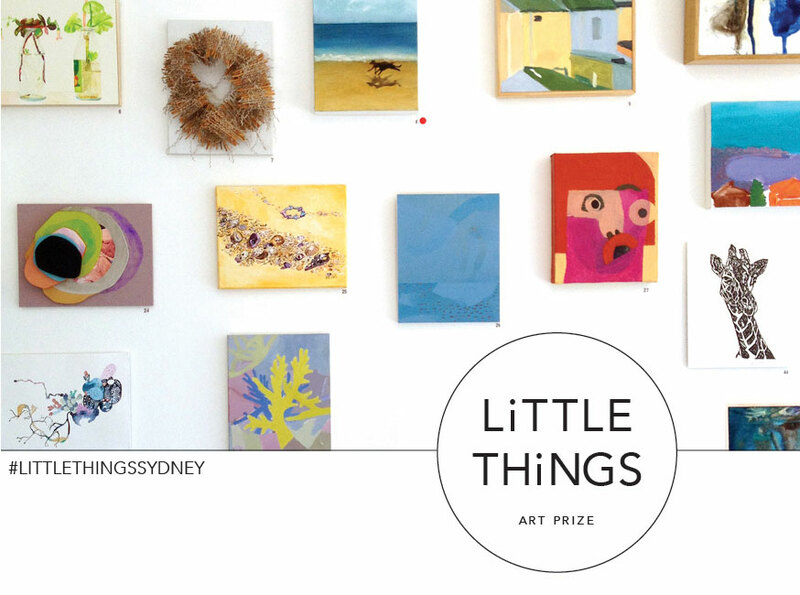 LITTLE THINGS FINALISTS EXHIBITION: 31st August – 18th September, 2016. Join us for afternoon refreshments and premium Tasmanian Cider from our one of our Event sponsors, Frank Ciders. Dine on Sydney’s best street food from recently crowned Sydney’s Best Food truck. 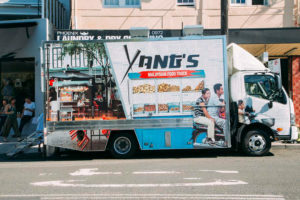 Yang’s Food Truck will be parked at our doorstep and selling their modern take on Malaysian street food classics; serving Malaysian food how it’s best served – from a cart off the side of the street! 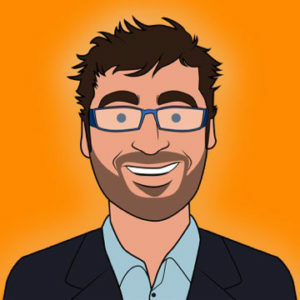 We are delighted to have one of Australia’s leaders in Positive Psychology Dr. Timothy Sharp aka Dr Happy from The Happiness Institute open the event with a brief talk about finding happiness in the little things in life, followed by the winners announcement and prize presentation. The WINNER of CATEGORY 1 Wall Works will receive a 1 year subscription to ART/EDIT magazine, Editorial mention & image of prize-winning artwork in my ‘Kerrie Love’s ❤‘ feature and a Full Colour Page Artist Profile Q & A style. 2ND PRIZE – Eckersley’s, $200 voucher. HIGHLY COMMENDED – Merivale, The Paddington, $150 dinner voucher. Please come in and vote for your favourite LITTLE THING by Saturday, September 10th. ‘Little Things’ is a celebration of the small things in life that make us happy and inspire feelings of gratitude and appreciation. Sharing a meal with close friends or new acquaintances and indulging in a delicious feast against the backdrop of beautiful art is certain to ignite a sense of profound gratitude for the things in life that truly matter. On Sunday 4th September, we would love to welcome you into our carefully curated space for an intimate dinner that celebrates the work of selected artists exhibiting in the 2016 ‘Little Things’ art prize. On arrival, we will be serving our Little Things signature cocktail to prepare the palette for a gastronomic modern Pan-Asian feast. A special collaboration between Chef Lex Wong from Yang & Co. restaurant and Yang’s Malaysian Food Truck, which was awarded Time Out’s 2015 Best Food Truck and Chef Shu Liu from Melbourne’s Shu Restaurant. 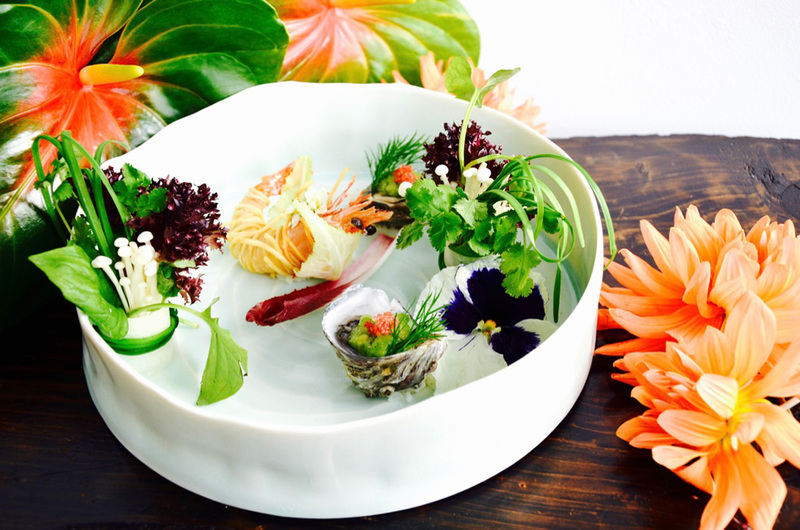 The dishes will be served on custom made ceramic platters by Louisa Hart. We are delighted to be joined by three of our judges, artists Laura Jones, Vicki Grima and Gallery Director Kitty Wong as well as Tim Sharp aka ‘Dr Happy’. We are looking forward to sharing this experience, bringing people together through a mutual love of art and culinary adventure. Adorning the space will be the wild and romantic creations of sought after floral designer Myra Perez from My Violet, whose varied palettes are evocative of the vitality and freshness of spring. Please be sure to hurry as places are strictly limited to 20 guests. Tickets are $180 per person.